We had not anticipated such an omnibus complaint, and before we could come to grips with it, SRF followed up with a well-crafted motion for a preliminary in­junction. This well-prepared motion had been in the works for some time, and it painted the parties as simple business competitors, in the niche market of Yoganan­da-branded Self-realization goods and services. 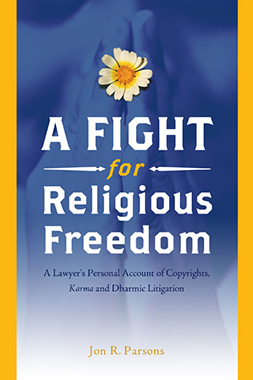 SRF claimed to own all the tangible and intangible rights concerning Yogananda, and portrayed Ananda and Kriyanan­da as late-on-the-scene infringers. Ananda was supposedly pretending to be affili­ated in some way with SRF, and Kriyananda was selling a trumped-up religious product that was not the real McCoy. SRF said it needed an injunction to stop Ananda’s palming off, and to staunch the damages that would otherwise flow from acts of infringement “too numerous to recite.” The motion may have been based on false facts and misdirection, but our response failed to persuade. That October morning Garcia granted most of SRF’s requested injunction. He ordered that, until time of trial, Ananda could not (a) use “for any purpose what­soever” the name “Church of Self-Realization” or any other name similar to SRF’s various Self-Realization and Yogoda Sat-Sanga names, or (b) use the name Para­mahansa or Paramhansa Yogananda “as or in connection with the name of defen­dant’s organization.” Ananda must change its name and be very careful about its new one. On a happier note, Garcia did not grant SRF’s request for an injunction pre­venting Ananda from using any of the works in which SRF claimed to hold a copy­right. Garcia later explained that he felt “compelled” to limit the injunction in this way because that portion of the relief could “curtail defendants’ religious practices.” This proviso was important, but little comfort in the moment. We conducted a post-mortem of the ruling over lunch. It was bad news for sure. I gave the necessary analysis of this major setback early in the case. Judges do not hand out injunctions for the asking, and Garcia’s ruling showed that he thought SRF had a good case. He had already determined that SRF would probably win, and that it needed immediate protection against Ananda. Like a batter with a count of two strikes, we were in trouble. To win now, we must convince Garcia that his initial take on the situation was wrong. Although SRF, as the plaintiff, still carried the burden of proof for each of its claims, that burden had now effectively shifted to Ananda. Before departing our separate ways, we agreed to think through the next steps carefully, and talk soon. My route back to the office through Stockton gave me a good two hours for tor­tured introspection. I had been entrusted with an almost sacred task, and stumbled badly. If these Ananda people thought I could help them, maybe they were not as smart as they looked. They had backed the wrong horse, but luckily we were not yet midstream. How could I have been so wrong, and SRF now so close to victory? Garcia’s follow-up written order in November provided the opportunity for a heart-to-heart talk with Kriyananda and the community leaders about how the case was too much for me. We found ourselves pitted against two giant firms while I was struggling to understand decades of history and complicated federal and state legal issues about nine different claims. It was too daunting, and more than I, a sole practitioner, should even attempt to handle. In fact, to put it directly, I had been “outgunned.” There is no dishonor in acknowledging reality, and regrettably, I must step aside, but would be happy to help in the search for a more suitable firm. Kriyananda responded that they understood the personnel imbalance, and how we needed more warm bodies on Ananda’s side of the legal table. But Kriyananda saw something happening that I did not, and he wanted me to stay. It wasn’t about me, he explained. It was about what God and Guru were doing here, and I guess I was a cog in that bigger machine. Still, they should have replaced me. But Kri­yananda wanted me to stay because, in his words, I was “dharmic” and a “man of integrity,” and I could hardly disagree. Instead, I would be given help. Ananda put together a “legal team” consisting of Kriyananda, Jyotish and Devi Novak, Vidura and Durga Smallen, and David and Asha Praver. This team played an active role throughout the case: discussing and deciding strategy, assembling financial and other resources, and actively com­municating with the wider Ananda world. Sheila would be made available to assist on what quickly became a full-time basis. And, we had a new support team. Cathy Parojinog (who is now known as Latika) and Keshava Taylor would provide re­search, organization, and support services, often heading up a bevy of volunteers who handled the copying, collation, and delivery of documents. Brothers and sisters in arms. SRF liked the way Garcia seemed to be leaning, and tried to push him a little farther. In August 1991, they surprised us with a motion to expand the scope of the preliminary injunction. In response to the injunction Ananda changed its an­nouncements, and now advertised its church services using the name “Church of God-Realization,” with Yogananda’s name and picture appearing somewhere on the ad. Ananda was careful, however, that Yogananda’s name was not used “in con­nection with the name of defendant’s organization.” SRF did not like Ananda’s continued use of the Master’s name in any form, and collected a number of Ananda advertisements from the various colonies. SRF claimed that these showed Ananda’s use of “Yogananda’s name in close proximity with defendants’ name.” While this conduct did not violate the language of the injunction, SRF claimed these ads vio­lated its spirit, or at least what it felt the injunction’s spirit should be. In any event, SRF asked the court to hold Ananda in contempt. SRF sought “clarification” from the judge that his injunction also prohibited Ananda from using Yogananda’s name in any flyer, advertisement, or other public document. And for good measure, SRF asked Garcia for “minor modifications” to the injunction to prohibit use of (a) Yogananda’s photo in close proximity to Anan­da’s name, (b) SRF’s copyrighted works, and (c) sound recordings of Yogananda. These were far from minor changes, and amounted to a sweeping new injunction, including copyright relief already denied in the original motion. Garcia thought so too, and chided SRF’s lawyers that the changes were more significant than they claimed. He denied both the requests to clarify and to modify the injunction. Per­haps the tide was turning. SRF’s attempt to expand the injunction also appeared to be a “message motion” to punish Kriyananda for his recent publication of The Essence of Self-Realization, and to discourage any such future publications. 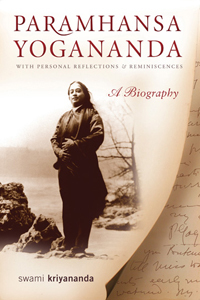 The Essence recorded Kriyananda’s account of discussions he and others had had with Yogananda concerning Self-realization. Not only did the book further reveal Kriyananda’s close personal re­lationship with his Master, it highlighted Yogananda’s generic use of the term “Self-realization.” Clearly Kriyananda had not come to heel, and it seemed SRF needed to yank his chain. SRF had reason to worry. The Essence of Self-Realization has become an important source of Yogananda’s teachings, displaying in a new light his wisdom, compassion, and humor. During the month we waited for the hearing on the expanded injunction Anan­da’s religious future again hung in the balance. At the September 12, 1991 hearing, Garcia announced he was denying most of SRF’s application and its request for an order of contempt. He took under submission, however, to be decided later, the part of the motion in which SRF requested an injunction on Ananda’s use of certain copyrighted materials. Then, on his own, he requested the parties provide written arguments on a new issue that concerned him: had SRF waited too long to file its lawsuit? If it had, then the injunction could be denied on that basis as well. Before granting an injunction the court must “balance the hardships” to each side in granting or denying the injunction. If SRF had failed to act promptly, and stood around for too long while Ananda infringed its rights, the judge could con­clude that SRF did not really need immediate relief, and therefore did not need a preliminary injunction. “Laches” is what the law calls the everyday doctrine of “use it or lose it.” As the California Civil Code so colorfully observes, “The law protects the vigilant, before those who sleep on their rights.” We appreciated Garcia voicing his concerns, and were happy to confirm them. SRF saw things differently. Garcia did not issue his order on the expanded injunction until Valentine’s Day of 1992. His long-awaited ruling denied SRF’s request for expanded protections with­out ever reaching the question of laches. All that subsequent briefing had been whis­tling in the wind, but having won the motion, we did not begrudge the extra work. SRF threw countless amounts of time and money into the case. It all seemed so foreign to the Yogananda that Ananda was telling me about. But things work at many levels, and who can understand their myriad wonders? As we went about uncovering the forgotten history of Yogananda, there were times when those past events resonated with our current struggle, as if Kriyananda was in some way fol­lowing in Yogananda’s footsteps. The two men struggled with the same problems, and Kriyananda now faced challenges similar to those his Master had overcome decades before. Yogananda returned in triumph to India in 1935, after 15 years abroad. But on the eve of leaving, with everything else that needed to be done for the extended trip, Yoganan­da had been sued. By his closest friend. 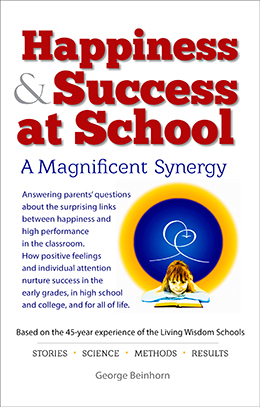 Since their early days in India, Basu Bagchi had been Yogananda’s friend, disciple, and right-hand man. Yogananda had ordained him and bestowed upon him the monastic name of Swami Dhirananda. When Yogananda left India in 1920 to begin his mission in America, Dhirananda remained behind in Cal­cutta and published the first edition of The Science of Religion. In 1922 Yogananda called Dhirananda from India to help out in Boston, and after acquiring Mt. Washing­ton in 1925, Yogananda placed his trusted friend in charge of the Los Angeles headquar­ters while Yogananda lectured back East. Suddenly, in April 1929, Dhirananda showed up unannounced at Yogananda’s apartment in New York, talked Yogananda into signing an $8,000 IOU, and returned immediately to Mt. Washington. He packed his bags, and within days had left the orga­nization for good. 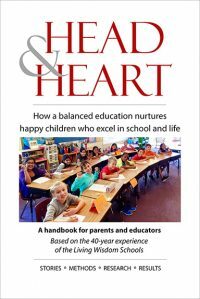 After teaching briefly in Los Angeles, Dhirananda attended the Uni­versity of Iowa, obtained a Ph.D., and went on to become Doctor Basu Bagchi, Professor of Electroencephalography at the University of Michigan. On May 3, 1935, Dr. Bagchi filed suit against Yogananda in the Los Angeles Superi­or Court to collect on the 1929 note. The press picked up on the filing, and had a field day reporting how the process servers were on the prowl for one of the country’s most famous lecturers. Yogananda had asked a patron for money to make the India trip earlier but it did not come through, and now everyone kept the travel plans secret. But Yogananda did not live a secret life, and they served him just weeks before he could get out of town. Yogananda knew the suit was coming, and on March 29, 1935, had filed papers in­corporating the Self-Realization Fellowship Church, Inc. as a non-profit California corpo­ration. A couple weeks after being served with the lawsuit, Yogananda signed a General Assignment giving the new corporation all of his personal property located at Mt. Wash­ington. That same day he signed a Last Will and Testament. His personal property now belonged to the Church, and his will would take care of both his U.S. and Indian orga­nizations upon his passing. Now no one could touch the assets that had been assembled over the years. Three days later he gave his sworn deposition in the case, and was soon aboard a train to New York, leaving behind the lawsuit he would lose in absentia. He was headed back home to India, and not certain when, or if, he would return. For a mo­ment the movement hung in the balance.